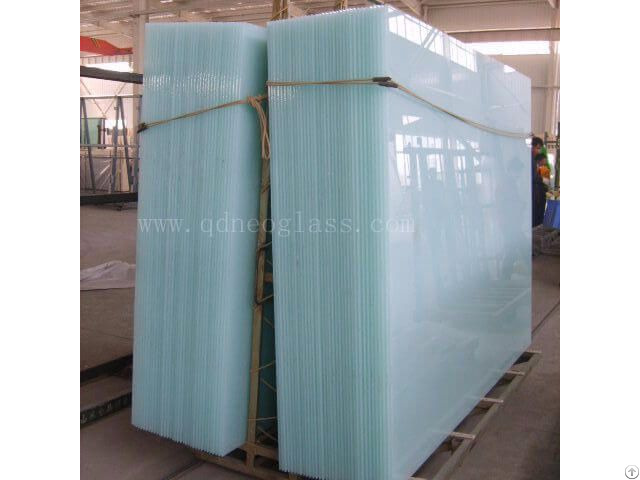 Glass Interleave: Qualified China PVB, Solutia PVB, Dopunt PVB, Dopunt SGP or other brand appointed by customers Interleave Color: Clear, White Translucent, Grey, Bronze, F-Green, Blue etc. Package: Plywood End Cap, Plywood Crate, Metal End Cap, Naked Package for A Fame, Carton Package, Pallet Etc. Business Description: We are one of the professional Glass Professors in China on Laminated Glass, Tempered Glass, IGU/DGU,Safety Mirror Glass, Back Painted Glass,Polished Glass, Louvre Glass, Architectural Glass, Building Glass,Safety Glass Etc.